Click APPLY before you select another key for programming. 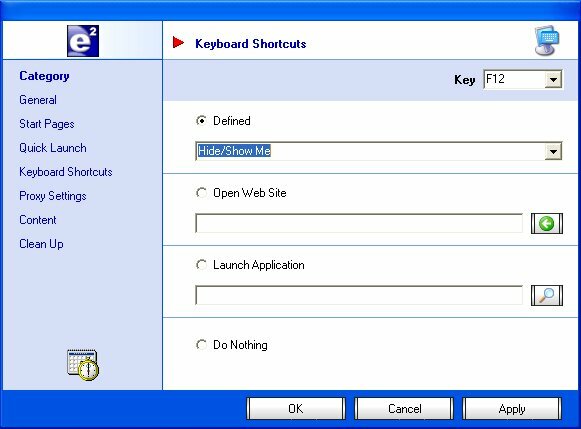 As you can see from Preference window, you can also program a key to open a web site, or launch an application for you. These settings will take affect immediately, you do not need to reboot or restart E2.